While minor burns can be treated at home and are usually of little consequence, more serious burns require ongoing and expensive treatments. As most people know, burns are some of the most painful injuries a person can experience. Burned areas of the body are also prone to infection, so proper care and treatment is not just about limiting pain or scarring, but also about preventing life-threatening infections. Add all of this up and burns become incredibly expensive in more ways than one. 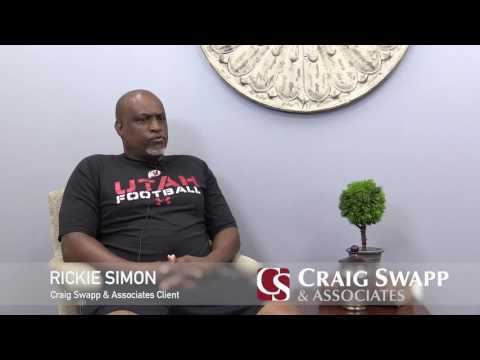 If you were burned because of someone else’s negligence, a Boise burn injury lawyer from Craig Swapp & Associates can help you seek compensation for your expenses and damages. Obviously, burns are the result of coming into contact with something hot, right? Not always. Chemical burns can be just as painful as burns sustained from heat and excessive temperatures. Since chemicals are used more frequently now than ever before, chemical burns are becoming increasingly more common. Many burns happen due to defective products that explode or otherwise injure consumers. Car accidents, cooking accidents, house fires, and many other accident types can lead to a significant burn injury that could change your life. A Boise burn injury lawyer from our firm can help you determine just who or what was responsible. Treatments for burns vary by degree—literally. The one thing that the treatments all have in common is preventing infection. The skin is your body’s first line of defense against the elements. It is an organ that protects the underlying tissue from exposure to the environment. Burns that become infected can put you at real risk for more serious illnesses and injuries—and in some cases, death. Medical care in the form of wound cleaning, application of antibiotic creams, and even skin grafts can all make the costs pile up. Even the most minor burn can become a severe injury. An experienced Boise burn injury lawyer from our office will be able to examine the details and the severity of your burn, thereby ensuring your settlement takes everything into account. Litigating a personal injury lawsuit will be difficult for anyone who does not have hands-on experience with the legal process. An experienced Boise burn injury lawyer from Craig Swapp & Associates can take on that burden for you. If you have suffered a burn injury that was someone else’s fault, complete the form below or call our office toll free at 1-800-404-9000 as soon as possible. Your free consultation is just one call away.